Chelsea have just beaten Arsenal 3-2 at Stamford Bridge in Maurizio Sarri’s first Premier League home game. It was a true rollercoaster game, with the Blues going two goals up early on before conceding another two in an action packed first half. After the break the Blues has more control, and the double introduction of Eden Hazard and Mateo Kovacic turned the game in their favour. While there were some seriously dodgy patches, there were also some really bright moments, and week by week it looks like we’re reinforcing Sarri’s football emerging. All it took was a late Marcos Alonso drive to seal three points for the home team. Hazard darted to the byline and was given far to much space by the Arsenal defenders, they desperately attempted to clutter the penalty area with bodies. The ball was cut back and Alonso fired a close range finish past former blue Petr Cech. Maurizio Sarri now has two wins from two while new Gunners manager Unai Emery has yet to register a single point. The new Blues stopper will be disappointed with Henrikh Mkhitaryan’s goal and really should of kept it out after getting a hand to the ball. He had another poor moment in the second half when he spilled a chance, but managed to gather at the second attempt. It was like last season never ended as he crossed a great ball for Morata to score his goal. Got caught out at the back far to many times and left new goalkeeper Kepa completely exposed at times. Lots of work needs to be done to erratic these mistakes in the coming weeks. 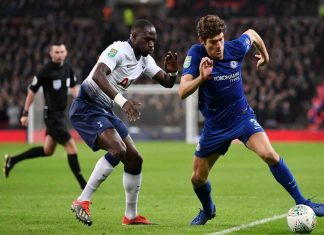 Like Rudiger looked much better on the ball than he did off it leaving massive gaps in the Chelsea defence all the way through the first half. The Spaniard was his usual self in attack for the blues and used his wing-back experience well to provide for Pedro and the winner. He made Arsenal’s Hector Bellerin look utterly pointless at times. The new Blues midfielder controlled the tempo of the game through out and played a wonderful ball to Alonso to set up the Pedro goal. The only downside was that defensively the midfield was getting slightly overran possibly down to Kante going forwards to much. Looking to get forward on every occasion, something we’ve not seen much of before from N’Golo. The only problem is it leaves the Chelsea defence way to exposed at times. 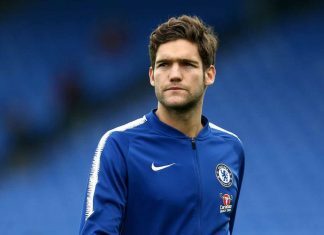 Ross has had a really good start to the season for the Blues and Sarri seems to like him. He made some nice passes on the left and got into some great positions but leaves gaps defensively at times. Very frustrating to watch and gave the ball away on the edge of the box to allow Arsenal back into the game in the first half. Got the goal which his confidence really needed and you could see him working harder of the ball than last season. 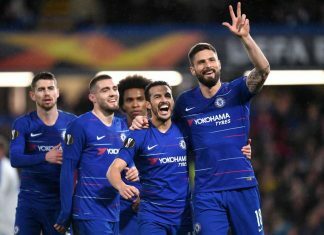 The little Spaniard looks to be loving life under Maurizio Sarri and opened the scoring with his second goal in as many games. When Hazard returns to the starting line up, Pedro has to keep his place in the side over Willian. Up next for Chelsea is a trip north to play Newcastle on Sunday where you can use a VPN to live stream the Premier League game. Bit strong Morata only a 5, he was better than that and scored our 2nd, he’s getting better by each game.